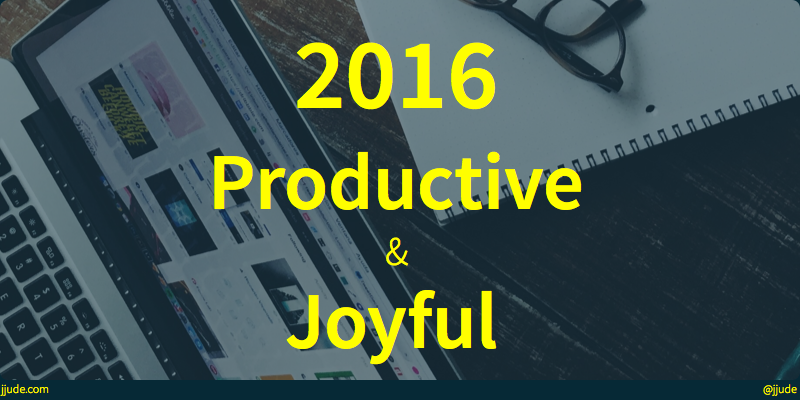 2016 is an amazingly productive and satisfying year. I co-authored a technical book, got back into nodejs development, wrote more than 30 blog posts, read 11 books, and became a Chief Technology Officer of a local boutique IT services company. Late last year, my sister and I pitched about 3 book titles to Apress Media. 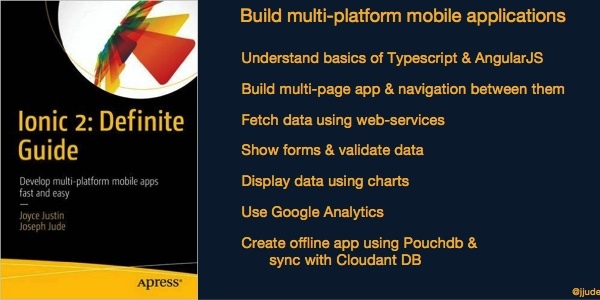 After lot of back and forth, we settled on a book on Ionic 2. We started writing the book by March this year. As this is the first book for both of us, it took us lot of time to get into rhythm and speed. But we managed to submit the final manuscript by 30th November. As I write this post, the book is undergoing technical review. Our book is announced to the market for pre-order. You can view and pre-order from its Amazon page. It feels so good to see my name as an author. If all goes as per plan, we should have the book in our hands by end of February, 2017. I'm a technologist. I like to learn different programming languages to understand their strengths and weaknesses. I learned Swift and Go, but returned to nodejs. I used nodejs to audit top 25k sites to understand SEO and security practices of the top sites. I enjoyed doing this. Most write out of authority, authority in the field. I don’t. I am a learner. I write for the unlearned about things in which I am unlearned myself. ― C.S. Lewis. I wrote 30 blog posts this year as a way of learning. Many of them are answers to code challenges as I learned Swift and Typescript. I also started a blog series What every Indian programmer should know. I connected this blog to Quantcast few months back. It says I get 2.4k monthly unique visits. Not bad. A local boutique IT services company hired me last November, to setup a project management office for them. They liked my work and this year they made me a Chief Technology Officer. This is my first CXO level job for such a large team (I co-founded and operated a startup for a year earlier). At first, I didn’t understand the level of impact I could have. Once I understood the power of working through a team, I became effective. Together we achieved so much. 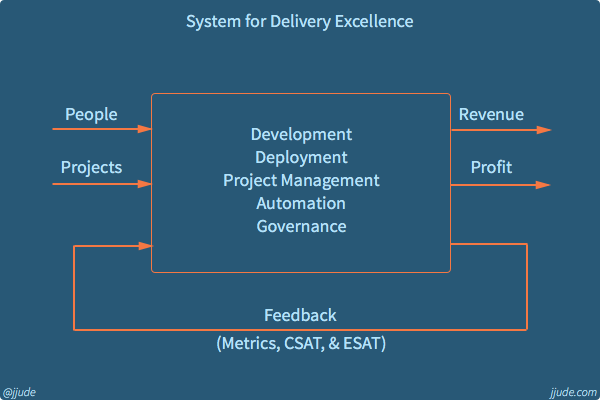 We put in place a system for delivery excellence. As part of this system, we established a continuous integration system, strengthened automated testing engine, built an unofficial Facebook bot for Indian PM, and started a machine learning practice in which we built a recommendation engine for Magento based e-commerece systems. Of course, we did more than all that I can list. I'm still digesting the power of committed members in a team. Six months back, I subscribed to Safari Books. That was one of the best decisions a learner could make. Safari has wide variety of selection of books. I read all these books and I’m going on reading. Soon, I will start blogging my notes on these books too. I don’t plan for entire year. I have broad goals that I like to achieve. I put up systems and adjust as I go along. Did you conduct a retro yet?